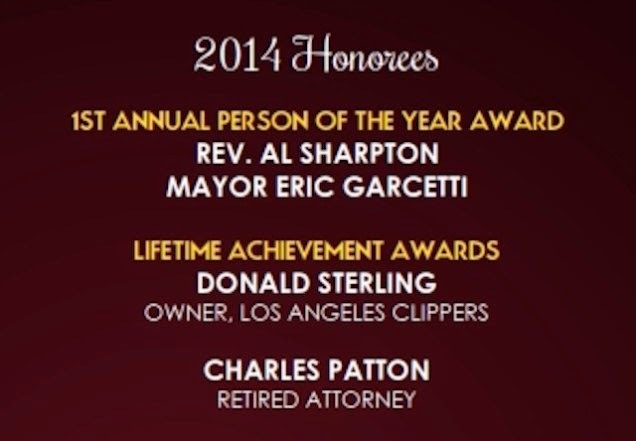 QUESTION OF THE DAY: Why Would NAACP Offer Donald Sterling a Lifetime Achievement Award in the First Place? I really need someone to answer this question for me. I know I can't be the only person familiar with Clipper's owner Donald Sterling history as it relates to race. I'm sure the people of Los Angeles, especially the LA branch of the NAACP, has to be familiar with his past as it relates to race relations. The man is a bigot plain and simple. I don't need some voice expert to prove to me whether or not that's his voice on the audiotape. The only thing I have to do is look at his past history. So can someone please explain to me why the NAACP chose him of all people to honor? Oh and this is not the first the LA branch of the NAACP has honored Sterling. In 2008 he received the President's award, and here in 2014 he was about to receive the Lifetime Achievement Award. Exactly what has he achieve over a lifetime that warrants such an honor? My people, my people! I just don't understand. This whole story is just messed up. I wondered the same thing. I think what people have to understand is that people can do good things and still have a racist ideology. He's a good person some say. Well it may seem irreconcilable but it is still true.